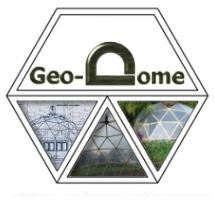 I was asked recently if I could design a Zome building, until now I''ve concentrated on geodesic domes and tunnels but thought it would be fun to try something new. There isn''t much about building zomes on the web, mostly just a toy for building geometric forms but I did a little work on my computer and found that could easily make a huge range of zome structures. 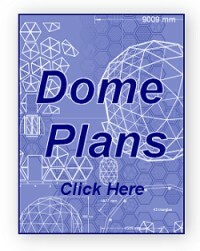 they are actually a very simple structure, a bit like a schwedler dome but with a twist. 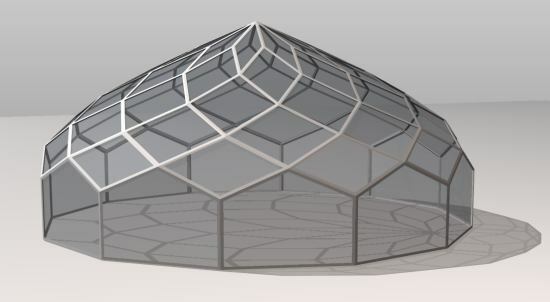 This is my first attempt made with a zonohedrified square antiprism, I quite like that onion shape zomes have and whereas I don''t think I would make a building with this first design there is potential to make some rather nice structures. 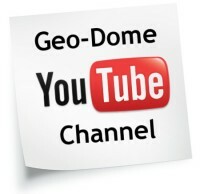 Zonohedrons have a couple of features that make them easier and maybe a little more practical than geodesic domes. All the struts are exactly the same size and the diamond panels naturally shed water, oh and they always have a ring of struts that are perpendicular which is really handy for building doors, windows etc into a finished zome. Here is a finished zome with practical entrance points all around the base. 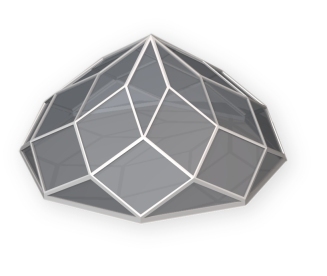 You would have to triangulate the diamond panels by putting a strut across each panel to make the finished structure stable but the panels would still be flat diamonds. I''ll definitely be doing more work with zomes so if you want any particular zome design drop me a line and I''ll see what I can do.